Ellas McDaniel (born Ellas Otha Bates, December 30, 1928 – June 2, 2008), known as Bo Diddley, was an American singer, guitarist, songwriter and music producer who played a key role in the transition from the blues to rock and roll. He influenced many artists, including Elvis Presley,the Beatles, the Rolling Stones,and the Clash.His use of African rhythms and a signature beat, a simple five-accent hambone rhythm, is a cornerstone of hip hop, rock, and pop music.In recognition of his achievements, he was inducted into the Rock and Roll Hall of Fame and received Lifetime Achievement Awards from the Rhythm and Blues Foundation and a Grammy Award from the National Academy of Recording Arts and Sciences. He is also recognized for his technical innovations, including his distinctive rectangular guitar, with its unique booming, resonant, shimmering tones. "Mona (I Need You Baby)" is a song written by Ellas McDaniel (Bo Diddley) and was the B-side to his 1957 single "Hey! 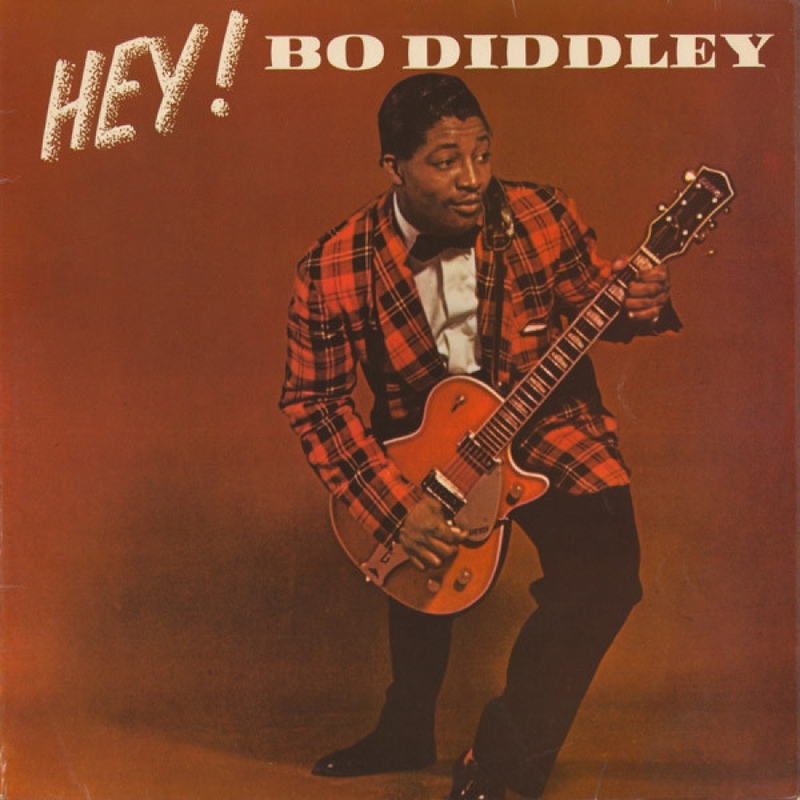 Bo Diddley".According to Diddley's obituary in The New York Times, "Mona" was a song of praise he wrote for a 45-year-old exotic dancer who worked at the Flame Show Bar in Detroit. The song also became the template for Buddy Holly's "Not Fade Away".